Only one is available 268 products in stock Warning: Last items in stock! 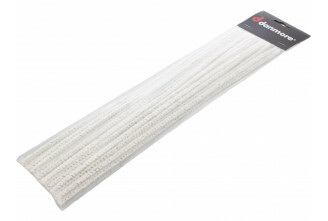 These pipe cleaners with bristles are conical for an easy and pleasant use. The highly absorbent cotton is a must for an optimal cleaning. Suitable for all kind of pipes: bent, half bent or straight. Specialy designed for Churchwarden and long pipes. These long pipe cleaners work very well!